They’re Not Deaf | Me – Who am I? Before I begin, let me say that I sincerely appreciate anyone who takes time out of their day to talk with my son. He loves it and so do I. Thank you! Having said that, just because a person has a learning disability does not mean that they are deaf. Most of the time, they can hear you just fine. You don’t have to raise your voice or yell at them. Trust me, they hear you. Speak to them as you would anyone else. It’s okay if they don’t respond like others would or if they say nothing at all. They may not know how to respond or they may just not care to. But one thing is almost a guarantee – they can hear you. Most of us have done this before and I understand why. We feel that somehow people can understand us better if we speak louder to them. People who travel or move to foreign countries get this a lot. Many people think that since they don’t speak our language, we must raise our voice to help them understand what we’re saying. However by doing so, we often offend them and distract them from hearing our words altogether. If you really want someone to understand you, then speak slower not louder. By slower, I don’t mean that your voice should drag like a slug. What I do mean, is that you should take the time to fully pronounce your words and with clarity. This will help them to better comprehend what you are saying. Remember as you go about your life, that just because someone speaks with an accent or has a learning disability, it does not mean that they can’t hear you. I’m not pointing fingers, because I’ve been guilty of doing this before too. But not only is it unnecessary, it’s rude. Instead, just talk to them as you would anyone else. They will appreciate it. From a mother of an autistic son, this is a just a friendly reminder for next time you run into someone who doesn’t speak like you do. Be their friend, talk to them, love them and always be kind. This entry was posted in Life and tagged autism, children, education, foreigners, friends, kindness, learning disabilities, special needs, speech, travel. Bookmark the permalink. excellent reminder. 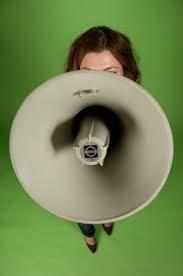 everyone hears less when someone is yelling or using a loud voice. speaking softly makes them have to truly listen, and we all understand what is being said much better. I have seen this is action too- drives me crazy. thanks for posting! Thank you! I agree. It’s very hard to hear someone when they’re yelling at you. Instead of listening to what they’re saying, we’re trying to figure out what they’re yelling for. That goes with any type of conversation. I’m a loud person all around. People with noise issues have a hard time around me. I have noise issues and sometimes I drive myself nuts! LOL. I am loud regardless. However, I have to claim guilt on this. I have spoken louder, and slower, to others who don’t seem to understand me. My first inclination, I think, is that I “think” they don’t hear me. This is a good reminder to me to not assume such things. To take my time and do my best to communicate. Not shout. At others. Isn’t it odd how we think that by speaking louder people can understand us better? I think many of us have been guilty of this before. Yes, they are much more normal than most people realize. It’s good that you have had that opportunity. There is not a day that goes by that they don’t make me laugh or touch my heart in some way. Only kindness matters. I always try to be kind to all people. Love to you and your son. Agreed! Kindness in everything and toward everyone. Thank you, Jenna. One time, I had laryngitis and lost my voice. I still chose to work as I wasn’t sick. While doing my speech therapy sessions, I realized that my whispered voice actually INCREASED my patients’ attentiveness. The only difference between my kiddos with autism and my other patients was that my kiddos with autism would just look at me with this questioning look on their faces whereas my other patients would ask me what happened to my voice or why I was whispering. However, because I was speaking differently, even my kiddos with autism used more eye contact and body language that showed they were trying harder to listen. It was an eye owning experience! You’re exactly right. Using a lower voice is almost always an excellent way to improve attention and concentration from others. In order to hear, they must put away all distractions and focus. A lowered voice comes in handy in all sorts of situations. I like that you added this. Even for those with hearing issues, yelling is not the answer. There are much better and more efficient ways to communicate. Oh those wonderful guilt trips. My mother used to be the queen of those. She’s cut back on them a lot over the years though. Yes there is nothing worse than someone yelling out their words and dragging out the pronunciation ‘Caaan Yoooou Unnndeerssstaaanddd Meeee’ I feel like piping up – Well I sure as hell can’t how do you expect my brother to. My brother, David had downs syndrome (he’s passed) and while he couldn’t speak very well he did understand but it was pointless trying to explain the difference at times. It’s the same for anyone with language or communication difficulties – there are always those who think volume solves all things. Agreed! It is so annoying! I’m sorry to hear about your brother’s passing. You’re right that sometimes it’s a hopeless attempt. Some people don’t learn no matter we tell them. When the moment comes to face the situation, all lessons fly out the window and they use their method instead. Yelling and/or dragging their words. I grew up on a street where there were 3 kids with hearing difficulties. All I had to do with all 3 of them was make sure they were looking at me and enunciate like crazy. Raising your voice doesn’t help a person who is deaf. What does your son like to talk about? Eye contact and facial recognition makes all the difference in the world. If they can see you and watch your expressions, they can better understand you. Thank you for asking that. 🙂 He likes talking about planets, forces of nature; really anything that involves science. Also of course, boy things like gross sounds, weird stuff and video games. Beautiful reminder and one I sometimes forget when my son does not answer he has his reasons but it is usually because he is in his autism world. I discovered over the years a soft calm voice works wonders with him. The autism world – Sometimes when I watch my son, I wonder what it’s like there. A soft voice is the most effective voice of all.